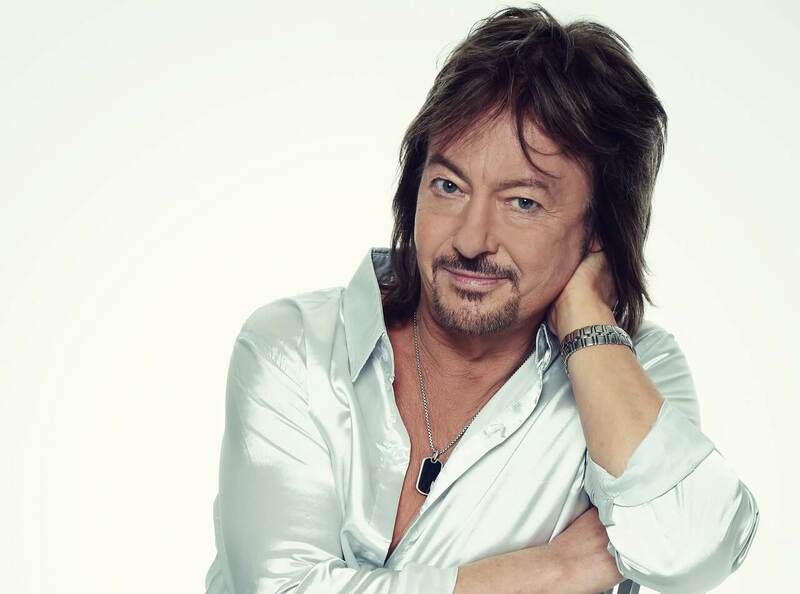 Mention Chris Norman’s band, Smokie, and most people will go straight to their seminal track ‘Living Next Door to Alice’, which was a top five hit not once, but twice, twenty years apart. But there is much more to Smokie, and to Chris, than one novelty hit. Smokie, formed by Chris with his school friends from St Bede’s Grammar in Bradford, enjoyed a string of eleven top twenty hits between 1975 and 1978, with their greatest hits album making the top spot across Europe. Chris’s trademark gravelly vocals and flowing hair made him an icon of seventies soft rock and the band were regulars on TV and radio. Tired of touring and being away from his family, Chris turned his focus to songwriting and studio work in the 1980s, working on hits such as the England football team song ‘This Time (We’ll get It Right)’, one of the more memorable national team anthems. He also worked with stars such as Suzi Quattro, Abba’s Agnetha Faltskog and Racey, as well as writing and recording a series of solo albums. Hit solo hit, Midnight Lady was number one in Germany for six straight weeks and sold almost a million copies in Germany alone. He has produced more than 25 solo albums since splitting from Smokie, and still records to this day, with his latest album Don’t Knock the Rock released in 2017.